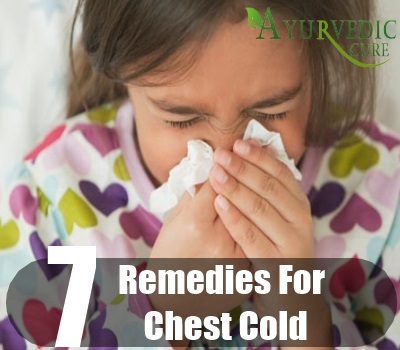 [toc]Before getting down to discussing the remedies how to get relief from chest cold it is important for us to understand what it is and the conditions responsible for the formation of chest cold. When we get a cold or flu attack chest congestion occurs that leads to the excess deposition of cold and other fluids in the lungs. This is a great home remedy for the cure of chest cold. A sautéed and curried onion is great way to cure this problem. Take two onions, slice it thinly and sauté in 1 teaspoon of curry powder in 2 tablespoons of extra-virgin oil. 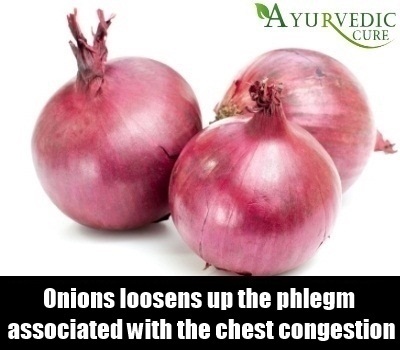 Sulfur and querectin are two active ingredients found in onions that break up the cold while the curry powder loosens up the phlegm associated with the chest congestion. Hot tea is a miracle ingredient that effectively treats chest cold. It moistens the throat and relieves sore throat. Herbal teas including ingredients such as angelic root, cardamom, cayenne pepper and rosemary will soothe your congestion considerably. Mix ginger, lemon and honey into the tea for added benefits. It is probably one of the best possible methods to loosen up hardened phlegm. You can either boil a large bowl of water, cover your head and inhale the steam or you can use a nebulizer machine that passes out steam. Add a few drops of eucalyptus, lavender or peppermit oil to the hot water hile inhaling the steam. Alternately you may consider gargling with warm water to which a pinch of salt has been added thrice a day. Likewise taking a hot shower will help break the cold. Apply a hot pack or steaming hot cloth and chest will warm the airways externally and help cure chest cold.20 Roast some fenugreek, carom seeds or cloves for two minutes and prepare a hot pack. Apply this hot pack on the chest and throat at night time. Stay hydrated at all times. 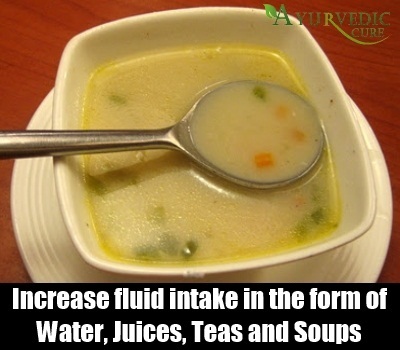 Increase your water and fluid intake in the form of juices, teas, soups, etc. However avoid consumption of caffeinated drinks or alcoholic beverages which may result in dehydration. 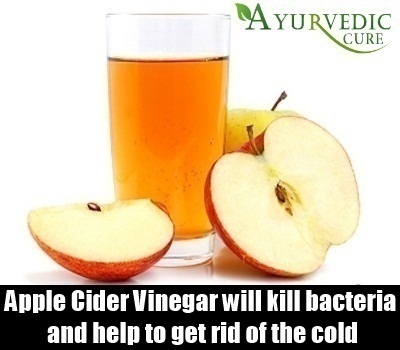 Taking a shot of apple cider vinegar will help kill bacteria and help you get rid of the cold. You may also boil normal vinegar with water and inhale the steam for visible results. Repeat the process as often as you need. This is an excellent home remedy. 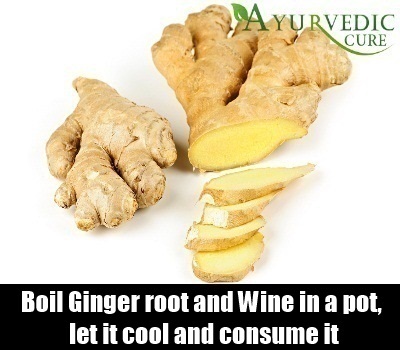 Take the ginger root and wine together in a pot and boil it for 10 mins. Take out the ginger root and let the mixture to cool down. Pour the mixture in a glass and enjoy your glass of wine. 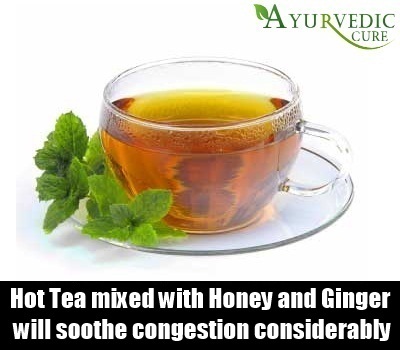 You can also take a concoction of ginger root with half a tablespoon honey and some lime juice thrice daily.